This month, I had the chance to interview Ben Mason who recently launched “Mason Wine” with his wife Barbara Boyle. I have known Ben for some time now and have always had a lot of time and respect for his work and wine selection. Mason Wine is now considered the specialist for good options in Germany and Austria as well as providing an interesting selection in many other regions. What was you first encounter with wine ? I grew up in a family that, like most Irish families in the 1970s, did not have wine as part of their every day culture and would buy time to time brands such a Paul Mason, Piat d’Or or Black Tower. I remember how people, at the time, would buy Paul Mason to be able to use the bottle again as a jug. Then in the 1980s, when I was a teenager, my parents started drinking better wines, time to time, for Christmas or other special occasions. I remember, one day, one of their friends brought us a bottle of Chateau Leoville-Las-Cases and we opened it. Of course, the price was not was it is nowadays, but still, we were all aware that it was a very special bottle and a real treat to be drinking it ! To be honest, I think that he did not provide us with a wow factor but I remember that we talked a lot about it around the table and this was a great moment. Did you know from that very moment that you wanted to study wine ? Not at all. I moved to Dusseldorf, in Germany, for two years to study German. At the time, beer was still my main focus and more to my taste. However, because Germany has so many vineyards, the culture for wine drinking is deeply rooted in people and is a real part of everyday life. As a consequence, I slowly became more and more curious about wine. At the time, I was working in a bar and the fashionable wine by the glass was “Edelzwicker”, a white wine made from a blend of different grape varieties such as Riesling, Sylvaner, etc… I tried many wines in Germany and I suppose, my tasting knowledge developed but I still did not really know much about the “cru des vins”. After my 2 years in Germany, I moved to Aberdeen University to study History and Politics and I found a part time job in a local off-licence. Their selection was amazing and was very strong in New World wines from Agentina and USA. That is when I tasted my first Malbec and Zinfandel. I realized then that what I really wanted to do was studying and working with wines ! I moved back to Ireland and decided to study with the WSET (Wine and Spirit Education Trust). I got a job in Searsons wine shop and spent 4 years with them. It was a great experience and a very good company. They were talented at identifying upcoming wine regions. Their focus was on European vineyards and they were really good at keeping on pushing us to study ! I finally obtained my WSET Diploma In 1999. Before Mason Wine, you set up another company called Wicklow Wines. How did that come about ? During my time in Searsons, I met Michael. Michael had spent some time in France working in different vineyards and was, like me, really passionate about his job. We decided to set up a wine shop in Wicklow town. The idea was to become a real specialist shop in wines that you could not find elsewhere in the country. We wanted to focus on really good and still not well known producing regions. Germany was one of those : it suffered from a bad reputation following the “Liebfraumilch boom”, however it was (and still is) a country with a fantastic potential ! So we started as a shop in September 2000 and then we expanded and decided to import and wholesale. We mainly focused on Austria, Germany, Portugal, and the Languedoc and Bergerac regions in France. You recently launched “Mason Wine”, with your wife, Barbara. From my understanding, she also is very knowledgeable and passionate about wine. Can you tell us a little of her role at Origin Wines? Yes Barbara is extremely knowledgeable about wine and always was very academic. She studied law in Trinity College were she got into wine by being part of a tasting club and debate group. She is currently studying for her Master of Wine. She was also involved with the Wicklow Wine Company as she was our accountant for a few years. It is very exciting to be able to share our passion and from this, Origin Wines came to fruition. Barbara is helping me sourcing the wines and developing our portfolio. Many of the wines on your list are made from the Riesling grape. However Riesling is still a variety that few people are willing to taste. What is your thought on it ? I appreciate the fact that Riesling is not for everybody’s taste but at the same time it is for me the most extraordinary white grape variety in the world. Its variety of style, expression and its level of complexity make it incredible and unique. One certainty, you have to like acidity to like Riesling ! On the other hand, it is a little bit like your first pint of Guinness : you won’t like it but you might learn to like it ! Riesling used to be very unfashionable and often sweetish to sweet. 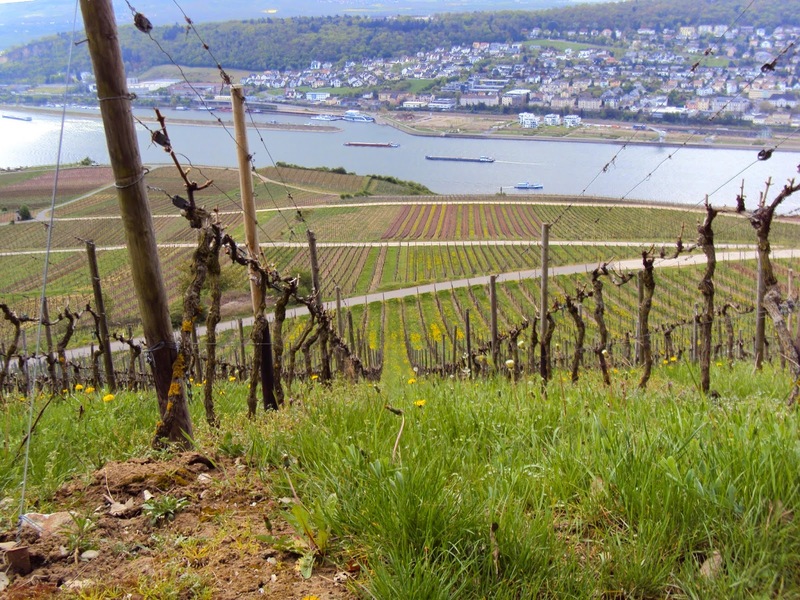 Nowadays it is booming and there is a real emphasis on the production of quality dry Riesling. I believe that the main challenges are to educate people about Riesling and to break down the prejudices for good. What Riesling wine from your list, would you recommend to someone who has never tried Riesling before and where can you buy it ? I would recommend the Riesling, Geil, 2013 which comes from Rheinhessen region. It is a slightly warmer region, compare to the Mosel or Rheingau for example, and as a consequence the wine tend to be a little more “charming”. They have some riper flavours (peach, apricot) and have more flesh, more roundness. You can find this wine in Clontarf wines, Donnybrook Fair, On the Grapevine and Blackrock Cellar and it retails at around €16.99. Now, without limit of style and price, what is your favourite Riesling in your selection and why ? It would have to be Emrich-Schönleber Monzinger Halenberg Riesling 2008 from the Nahe Region. This wine combines absolute precision with an amazing concentration. It is enjoyable now but you could keep it easily for another 10 years. That is the equivalent of a “Grand Cru” in Germany and retails at approximately €60. It is a treat but if you like Riesling wines and can afford it, then it is worth spoiling yourself once in your life. At the moment, 64 wines in Glasthule sells it and the Wild Goose Grill in Ranelagh has it on their list. 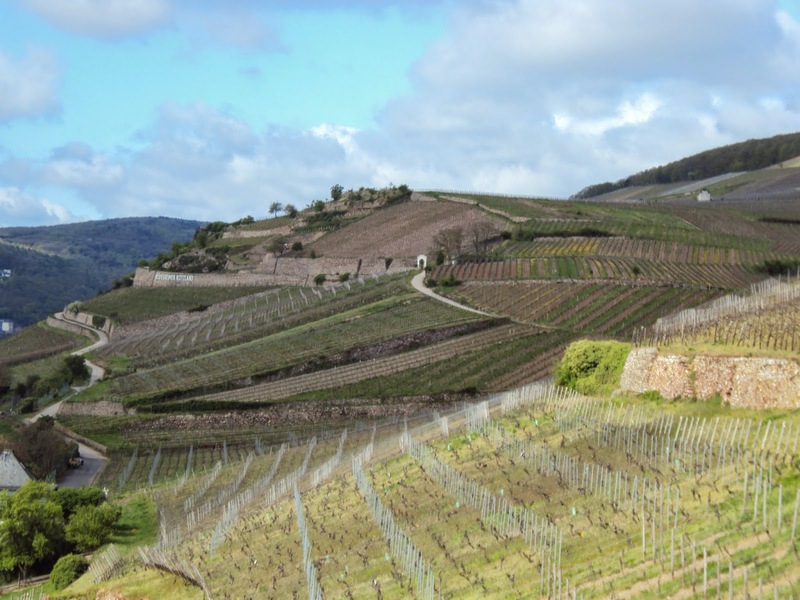 Let’s talk now about another incredible grape variety, the pride of Austria : Gruner Veltliner. Every time I meet you and mention this grape, I notice a smile on your face. 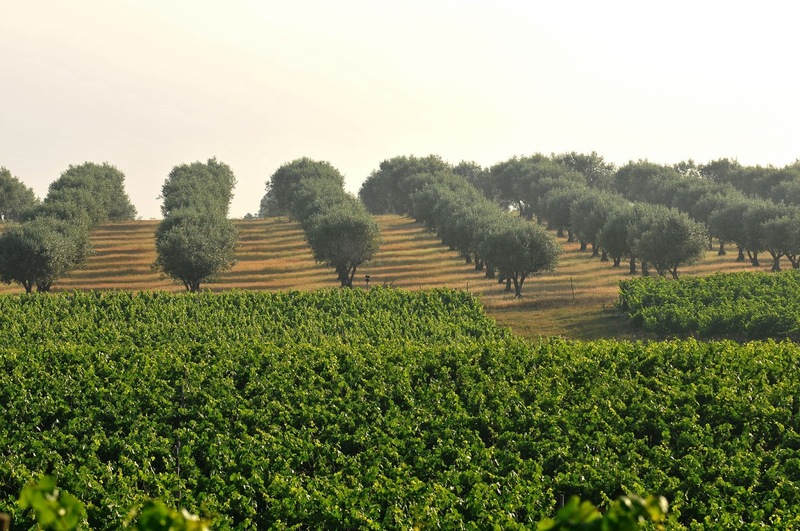 Can you tell us a bit more about this grape variety and what to expect from it ? In contrast to Riesling, Gruner Veltliner is an utterly friendly white grape variety. It is so easy to get on with it ! If you taste some entry level Gruner, they are light, crisp, fruity and really accessible. Once you explore a bit and step up to some single vineyard wines, they become richer, more intense. They can be reminiscent of Viognier or Pinot Gris is some ways. It is a highly versatile grape. Can you give us an example in both price categories and tell us where we could find them ? At the moment, Grois GV Gruner Veltliner 2013 from the Weinviertel region is a pure delight. It is clean, crisp with some white fruit flavours. It retails at around €16 and you can find it in the Wine Workshop or La Touche Wines. If you want to try a richer style, then I would definitely recommend Schloss Gobelsburg “Renner” 2013 from Kamptal region. It is rich, unctuous but still very dry. This winery is a reference in Austria. You should be able to pay around €32 for it in The Corkscrew or Redmonds. We talked a lot about white wines but what about red wines ? Germany and Austria are often only praised for their white wines but they also produce some sublime red wines. For example, Pinot Noir, know as Spatburgunder in Germany, is currently blooming. The last few years have seen some amazing changes and developments in term of quality. Nearly every single region in Germany now produces high quality Pinot. Last year, for the first time, I managed to organize a Spatburgunder tasting in Dublin. We had wines from the Mosel to Baden and the quality was really up there! It is a very exciting time for German red wine production. In Autria, the majority of the red wine production in situated in the South-East of the county and grapes such as Blaufrankish are flourishing. It is astonishing to see the progress this market has made in only 5 years. They evolved from being very rich and heavy wines to wines with more finesse, elegance and a lighter use of oak. Muhr Van Der Niepoort from Carnuntum region is a one of our best seller at the moment. It retails for around €22 and you should be able to find it in the Wine Workshop and in La Touche wines. Finally, we mentioned Germany and Austria as they are 2 of the main countries you are importing, but Mason Wine is not only about this. What other vineyards of the world are you representing and from those, which are your current “pick of the bunch” wines? ? I always had a huge interest in Portuguese wines. Despite the fact that it is better represented than in the past in the country, I think that there is still an element of the unknown with Portugal. Fascinating wines yet to be discovered and wine regions to still improve. I don’t feel that they have reached their peak yet and they potentially still hold some great surprises. At the moment we have a wine from the Douro Valley called “Sa De Baixo” 2012. It is an “entry level” wine but it is an fantastic entry level wine ! It retails at around €13.95 but it is just so so good . Also, South Africa is a country where I would like to spend more time and develop the range. It has suffered from a lack of quality for many years but it is on the way back now. Watch out for Chenin blanc, I think we haven’t finished hearing from this grape yet ! Thank you very much for reading and let’s keep on Tasting, Discovering and Sharing !